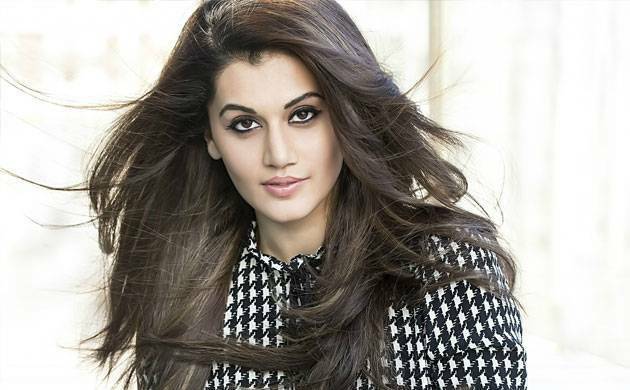 Actress Taapsee Pannu has expressed her wish to share screen with Salman Khan in sequel of Judwaa 2. Judwaa came out in 1997 and was a blockbuster. Salman Khan was much appreciated for the comic avatar. When asked about it, Taapsee told , “We are all excited to shoot with him. Something we all have been looking forward to. He’s someone who everyone loved in the original film and is an inseparable part of the franchise and I’m glad he will be part of Judwaa 2 as well”. Varun Dhawan, Taapsee and Jacqueline Fernandez will shoot for the special sequence with Salman. But the role of Salman in the film has not been disclosed. Judwaa 2 with its star cast Varun Dhawan, Jacqueline Fernandez and Taapsee Pannu is the most talked about seuels in 2017. Varun Dhawan has double role in the movie while Jacqueline and Taapsee will play his love interests. The remake of two songs will be released by the three stars at IIFA 2017. Sajid Nadiadwala and David Dhawan teamed up for the film. the film is scheduled to release on September 29.